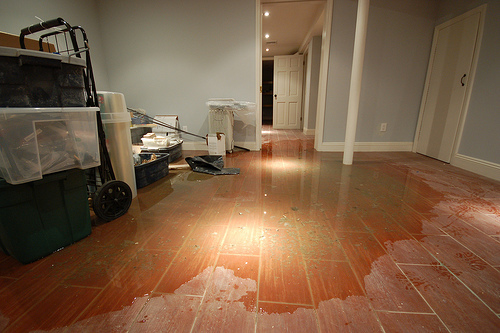 Basement flooding is one of the most frustrating and expensive problems that a homeowner experiences when maintaining a home. A sump pump is an excellent way to mitigate this flooding because it is able to take the drainage water that collects in the sump pump basin and move it to the outside where it can be absorbed into the grass, rather than flood the basement. Water left standing can lead to mold, and this will often require professional mold remediation. A sump pump should only be used with clean groundwater, rather than water that has been tainted with water softener or laundry detergent. There are a few factors that need to be taken into consideration when choosing a sump pump. There are two main types of sump pumps on the market. The first is the submersible style sump pump, which is submerged in the sump pump basin. It will often be completely covered by water. The second type of sump pump is the pedestal style pump, which has an impeller at its base. There is a motor on top of the pedestal that is not supposed to be submerged in the water. Often, the submersible pump is the better option because it is much more efficient than the pedestal sump pump. It is also more likely to last for years and will not produce the same amount of noise. Because the sump pump is completely hidden in the basin, it will take up less space. The most common horsepower used is 1/2 HP with regards to sump pumps. When a person is first purchasing a sump pump, this is usually the safest route. If it is important that the sump pump only have to run for a short period of time and still be able to get rid of the required amount of water, then a pump with higher horsepower will be needed. Another reason why a pump with higher horsepower might be needed is if there is an exceedingly large amount of water that, if left too long, will cause serious water damage problems. What Size of Discharge Pump Do I Need? The most common discharge pipe diameters are 1¼” or 1½”, but has the potential to be much larger. The size of the pump is predominantly decided on the amount of water that needs to be removed. Because a large amount of water cannot travel effectively through a narrow pipe, then houses that have a lot of flooding will require a larger discharge pipe to ensure that all of the water is able to leave as efficiently as possible. What Size of Pump Basin Do I Need? The size of the pump basin will need to be large enough to ensure that the sump pump switch is able to move completely unimpeded. Always err on the side of installing a basin that is too large because a large sump pump basin will result in the pump having to run less frequently, allowing its lifespan to be greatly extended.